Dental implants are perhaps the most predictable and technologically advanced method of replacing missing teeth in patients of all ages. They are an excellent long-term option for restoring your smile. In fact, the development and use of implants is one of the biggest advances in dentistry in the past 40 years. 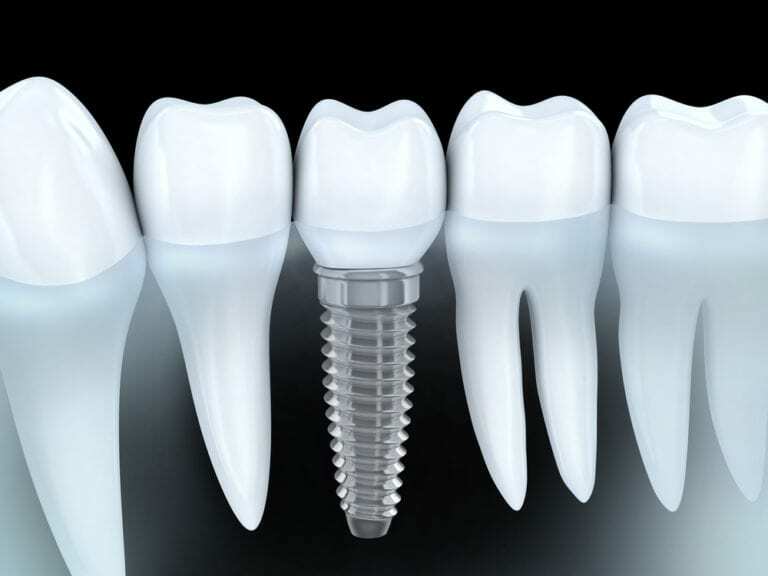 Dental implants are made of titanium, which is remarkably compatible with the human body. The titanium implant is delivered into the area of the missing tooth, and acts as an anchor for a new porcelain crown. What are the Age Restrictions on Dental Implants? There are NO age restrictions for dental implants. Dental implants can be placed in individuals of all ages, providing they have adequate bone in the area of the missing tooth. This can be assessed by a 3-dimensional image called a CBCT, which can be taken in our office. First, if a tooth must be lost due to periodontal disease, a fracture, or an infection, it will be carefully removed by one of our doctors. We may suggest that a graft material be placed in the remaining tooth socket in order to give the bone every possible opportunity to heal perfectly. After 3-4 months of healing, our dentists surgically place the implant into the jawbone. This is done after meticulous planning to ensure that the implant is placed in an ideal location. Your dentist may recommend a diet of soft foods, cold foods and warm soup during the healing process. Once the implant becomes integrated with your jaw bone, you return to have a porcelain crown attached. The crown will be based on the size, shape, color and fit, and will be designed to blend in with your other teeth. No! The dental implant process is a comfortable experience, easily managed with local anesthetic or sedation dentistry. If you do experience discomfort, or have an anxious feeling regarding the procedure, one of our doctors is available around the clock to help you through what you are feeling. Call today to speak with one of our doctors and learn more!